They are up for adoption. On 18th Street in San Francisco, in the Mission just around the corner from Folsom, is a new 2 story office condo, urban-hip and all corrugated steel panels. It houses a lot of very small businesses, some of them using 300 square feet or less. On the ground floor is a micro coffee shop, barely large enough for a couple of customers. There's a hair salon. 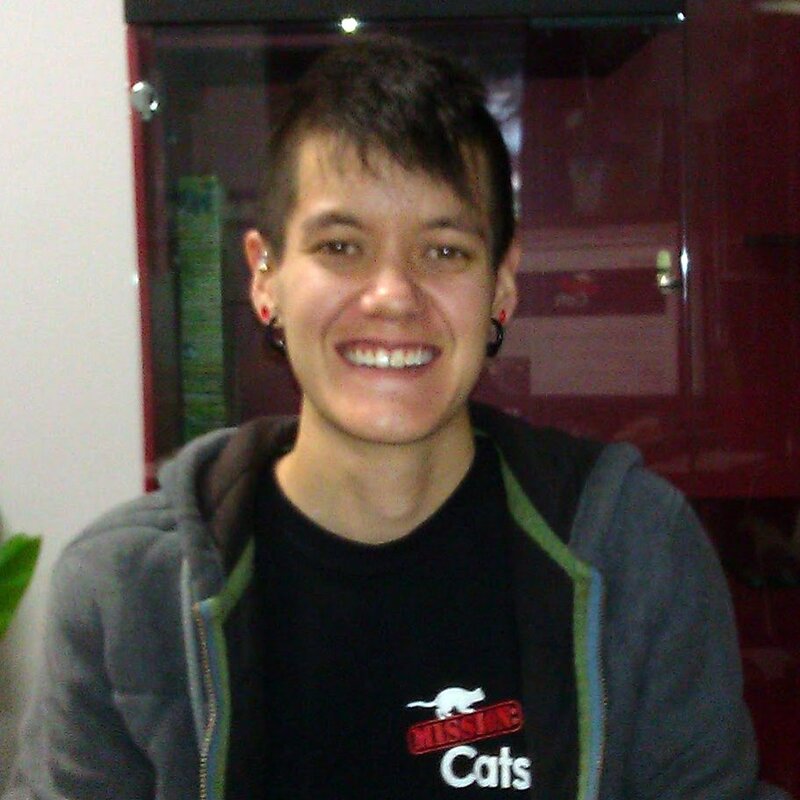 And Mission Cats, a cat boarding hotel run by life partners Genna Darby, 23, and Ash Wilkie. The women are not from the tech world, but they're lifetime tech natives. Mission: Cats is not a big business (5 employees total,) nor a tech startup hoping to be acquired and make its founders' fortune. But they have much to teach us all about technology in business, largely because for Genna and Ash, it's just something they know instinctively. As Genna told me, "it's a cat care business, but I feel like the technology is just so integrated, just like it's integrated into the City of San Francisco and the bay area. People just expect it." Cat-cams are online for a good part of the day, allowing owners to check in on their cats in real-time. Throughout the day, staff take photos and videos of the cats, and post them on Facebook and tumblr. Real-time alerts of new posts are issued throughout the day on Twitter. 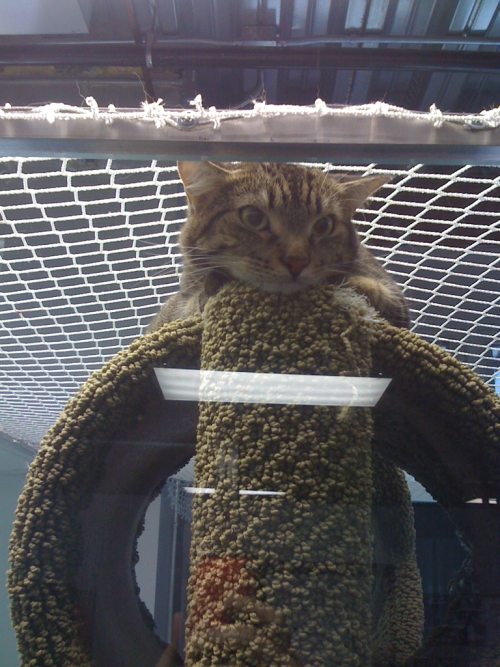 Cats Exclusive monitors reviews on Yelp, and takes full advantage of referrals from the site. How much has all this cost the small startup business? "We have about $300 total invested in software and equipment," Genna said, "we have a used Mac mini we bought on Craigslist, some webcams, and we did spend $30 for webcam management software from Evocam." Mission: Cats uses the free gMail product, a free-while-in-beta webcam broadcasting service from Sensr.net, Intuit's Quickbooks payroll ("online, not the downloaded version"), and payment systems from Square, which allows small businesses to swipe and accept credit cards using a smartphone. Square, was founded for companies just like Mission: Cats, who want to accept credit card payments using simple tools with minimal setup and simple processes. An iPhone, iPad, or Android device, a small card reader that plugs into the earphone jack, and a flat 2.75% fee are all that’s required. Every Yelp review has been positive (one is 4 stars, every other review was 5, the top rating,) and customers make comments like, "the thing that impressed me the most was how devoted the owners are to their guests - my cats got a lot of attention. Did my cats tell me this, you might ask? Is this a crazy cat lady review? Nope, I could see it on the cats cams and could also tell from the way my cats behaved when I picked them up. It was so great for me to be able to see them with updates and pictures on twitter and fb." 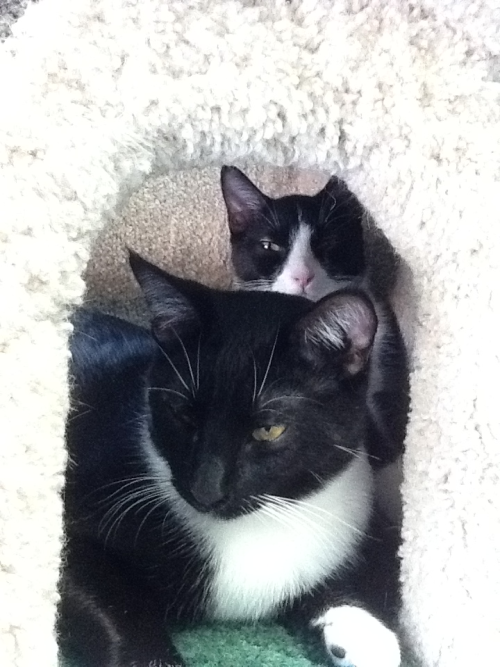 From another review: "each time (my cat has) stayed there they've introduced her to some of the Wonder Cat Rescue kittens that are fostered there and Risa's had a ball playing with them. I know this because I've seen photos on Facebook, gotten the daily email updates from Mission: Cats staff ($1/day), and even seen a video they posted on their blog. I actually have one of their webcams open in another browser window right now and I can see a staff member playing with my cat. Amazing!" The effect: although started just seven months ago, Mission: Cats is operating at near full-capacity in their 1300-square foot facility. They are sold out for the Thanksgiving and Christmas holiday seasons; while I was there, Genna took several calls, politely turning away overflow customers with "here are several other cat boarding facilities we trust, or try Craigslist for sitters, but be sure to find one that's insured and bonded." Mission: Cats serves as a powerful reminder of one of technology's most important emerging roles: to re-personalize the business experience. It is a relationship builder and community enabler. Technology ushers in the era of you. People buy more than just goods and services, they buy relationships. Technology--especially social technology--is a critical success factor for any business making good on this promise. It is worth the time to maintain those social connections with customers. Social technology is not an inconvenience, not an added cost. It is a core of what business is about. By the way, did you notice the customer comment about the daily e-mail? Mission: Cats has turned social technology into an upsell opportunity, a $1/day charge for an e-mail and photo of your pet every day. Good use of technology is more about what you do than what products you choose. Lightweight, inexpensive solutions, many from the consumer world, can have big business value. Technology reduces barriers to excellence, and to competition. Mission: Cats is low "tech inertia," and was able to start delivering big-company value from day one, at minimal cost. If your business doesn't now have this mindset, a realization that technology-enabled community is easy, real, and important, I promise you have competitors who do. Some of them might not be in business yet, and see your company's inaction as a huge profit opportunity waiting for them to explore, with tools they can acquire at low cost and implement in days. Are you ready to learn from a gen-Y 23-year old with $300 to spend on IT? Where in the world is Don?